We are currently designing a new website which will have alot more features for our clients. 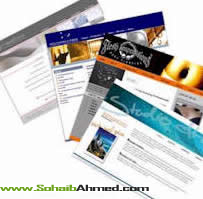 SohaibAhmed.com worked great for our company and I highly recommend them if you need professional website deisgned at amazing price. They worked quickly and also did quality job. I recommend these SohaibAhmed.com to all of you. Great work!